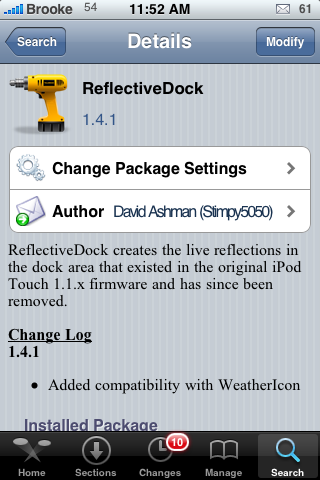 I have wanted a hack for this for a long time and I’m so glad to finally have it. 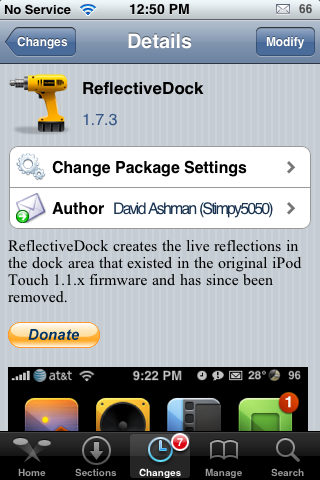 I think it’s worth the $0.99. 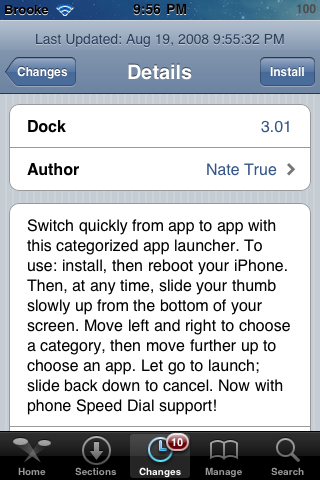 It allows you to add scrolling to your dock. 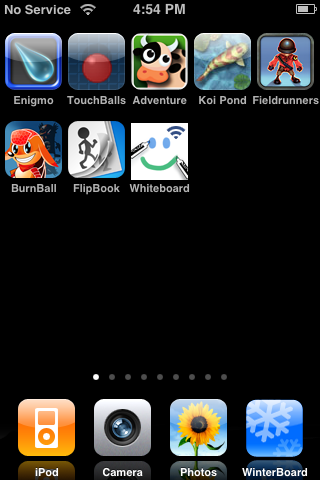 This way not only do the icons on your sprinboard scroll left and right, but the icons at the bottom can do this too, independently. 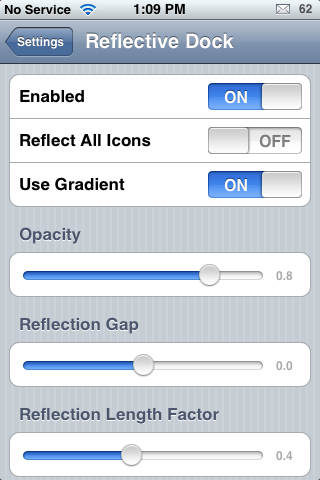 There are even more control in the settings that allows you to choose how many icons are on a page, if it scrolls with snapping like your normal springboard or just slide through them without snapping and paging. 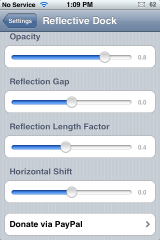 Check out our video demos so see what it’s like. 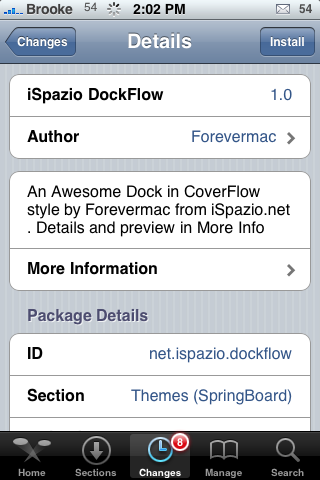 Old Dock Theme is a WinterBoard enabled theme that changes your dock to look like the dock from back in the 1.1.1 days…yeah, I know, old school! 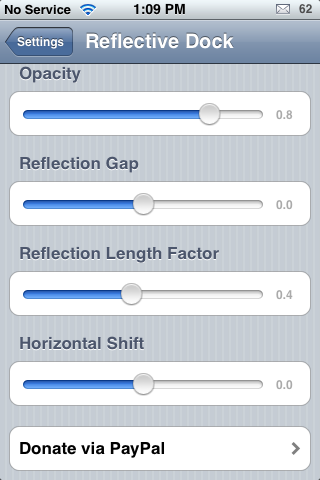 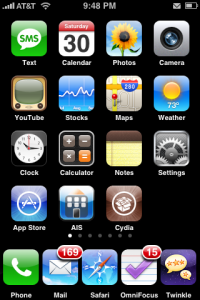 :) Make sure you move it above your theme in WinterBoard if you would like to use it in conjunction with a theme. 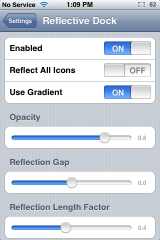 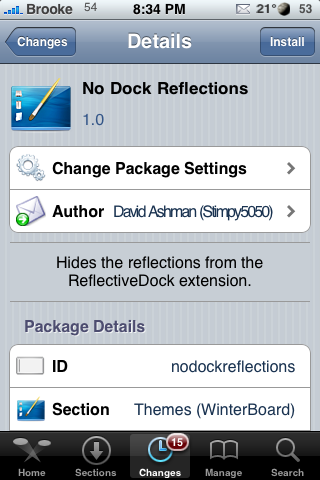 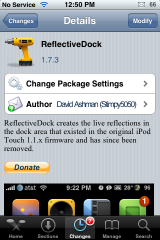 The developer also suggests installing the ReflectiveDock mod to make the Old Dock Theme look the best. 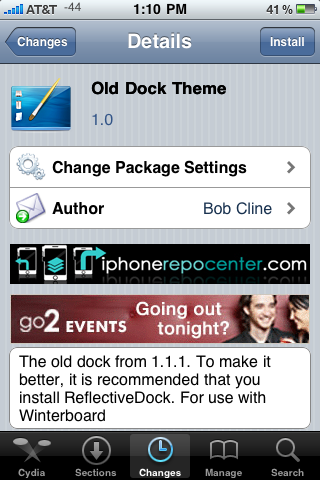 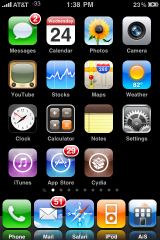 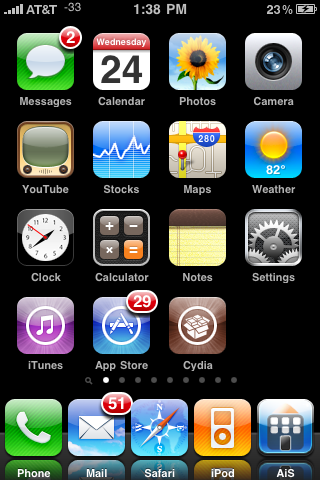 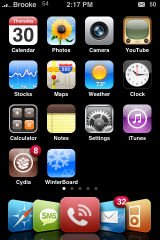 You can get Old Dock Theme via the BigBoss source. 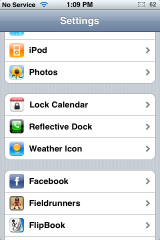 BossPrefs Dock Control is an add-on to the BossPrefs application (you will need to have a BossPrefs installed before installing BossPrefs Dock Control). 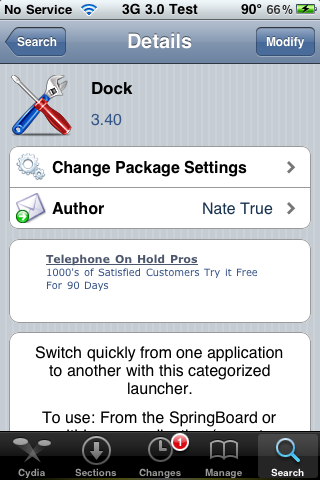 The BossPrefs Dock Control allows you to toggle on/off an application called Dock. 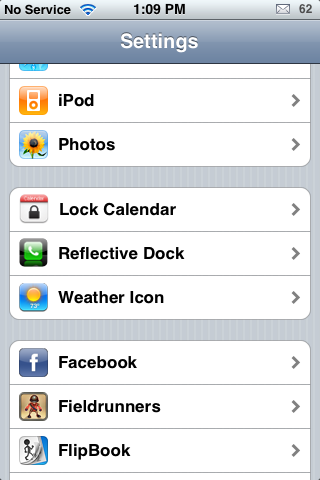 However, before you can use BossPrefs to toggle Dock, you will need to have Dock installed. 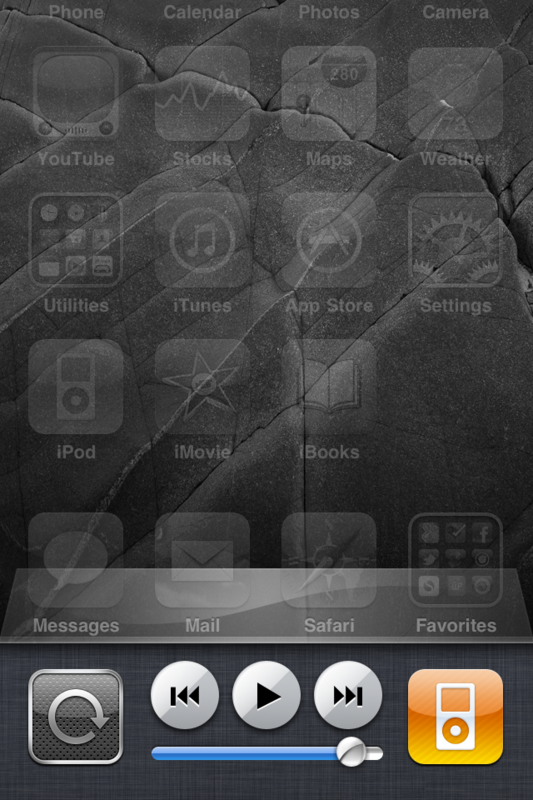 Because Dock is an application that is always present, I think it is nice to have the ability to toggle it off. 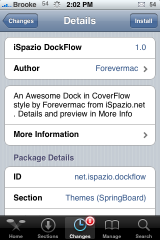 You can get the BossPrefs Dock Control and BossPrefs through the BigBoss source.